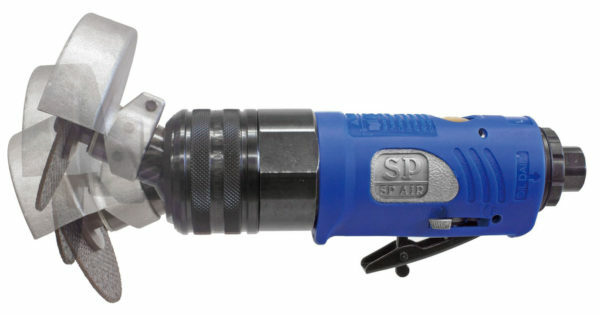 The SP Air Reversible Flex Head CutOff Tool, No. 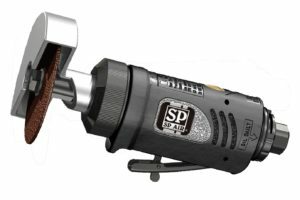 SP-7231R, offers a reversible feature and three-position flexible head designed to provide greater access in tight work places. 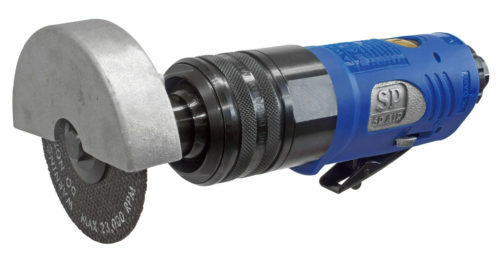 The tool features a cushion grip handle, rear exhaust, safety throttle lever, built-in power regulator, graduated trigger, direct drive motor and metal guard. The tool cuts muffler clamps and hangers, sheet metal, radiator hose clamps, bumper bolts and steel rods up to 3/4”.